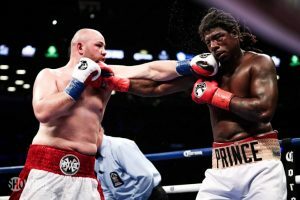 Ring News 24Boxing News Fight ResultsHow Good Is Adam Kownacki? How Good Is Adam Kownacki? 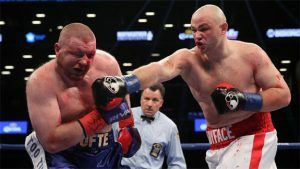 Adam Kownacki secured his 19th straight win on Saturday night in New York at the Barclays Center over Gerald Washington. The former world title challenger was wiped out in 2 rounds after a barrage of power punches landed in the 1st round, followed by more in the next which knocked him down hard. But Kownacki had more to do, as Washington managed to get to his feet. The referee allowed the fight to continue for a few more seconds before stepping in to halt the contest. Kownacki is ranked number 8 by the WBC, unranked by the WBA and is number 5 by the IBF. The WBO do not recognise him. So, it looks as if the Polish born heavyweight boxer will need to do some more work in order to keep climbing toward an eventual world championship opportunity. But just how good is he? Kownacki easily overcame Charles Martin last year. 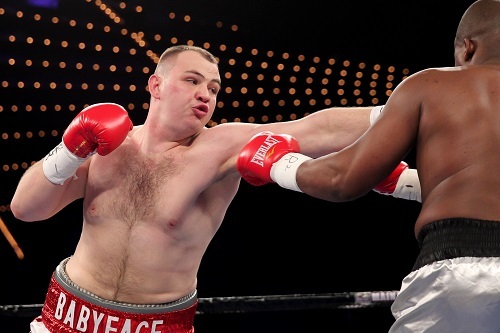 Adam Kownacki was born on March 27th, 1989 in Poland. He moved to the USA when he was seven years old in 1996 and he has remained a resident there ever since. Inspired by watching fights of fellow countryman Andrew Golota, Kownacki started training at Gleason’s Gym at the age of sixteen. Success was to shortly follow when he won the New York Golden Gloves tournament the next year and won it again in 2009. Kownacki made his professional debut shortly after that during the same year. Partly due to his three-year long absence out of the ring between 2010 and 2013 due to injuries, it took Kownacki eight more years to fight somebody that could potentially test him. Artur Szpilka was thought to be the one to give him that test, but he found himself beaten in 4 rounds. Iago Kiladze was next, who only managed to survive two rounds longer. Former IBF champion, Charles Martin was unable to come up with any answers and lost by a unanimous decision. And then came along Washington. The Pole throws all sorts of punches that catches his opponents off guard. Kownacki’s hand speed is pretty good and he always throws punches in bunches. 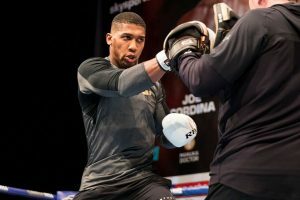 He lacks the versatility of somebody such as Tyson Fury in terms of mobility, preferring to stalk his opposition to try and close the show. His jab is not excellent but it is serviceable. And sometimes he sacrifices defense for offense, something which a good counter puncher and a more athletically gifted fighter could capitalise on. But his power is definitely there, having stopped 15 out of 19 so far. Whether that power could trouble the elites of the division is still to be discovered, but it is has been proven to be more than enough for quality challengers such as Szpilka. His blustery work rate also highly contributes to that. One issue that stands out is his physical fitness. Kownacki does not seem to care much about getting into the best shape possible and often looks very soft. It has not evidently been much of a problem right now, seeing as he is only 29. But give it a few more years and he will start to feel the pace. Things can rarely be successfully achieved half-heartedly in boxing. Kownacki does not possess what it will take to overthrow Anthony Joshua…yet. Looking at it objectively, Kownacki may have something to trouble the likes of Deontay Wilder, who is fundamentally flawed. The American has had to fight tooth and nail during some of his WBC title defenses against fighters that other more solid champions of the past and present would have dealt with more handily. However, Kownacki’s skill set probably would not be enough to give Anthony Joshua a run for his money due to his more mature boxing style. Give it a couple of more years for Adam to work on his flaws and improve what he has and it could be a different ball game. There is no rush at the moment. It is all about how much Kownacki wants it. Is the desire there? I believe it partially is. But I am not sure if it fully is.